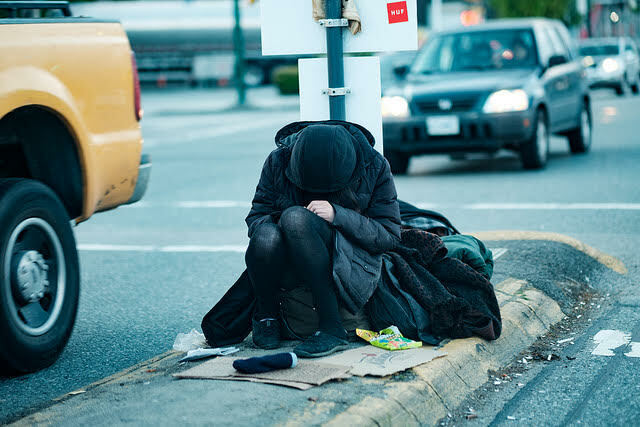 I have learned that often when we approach large topics like homelessness as an issue, eyes glaze over and the viewer’s attention drifts elsewhere. The stories that resonate are those that offer an intimate look at humanity. This allows viewers to get past what may at first feel uncomfortable and become invested in their community. At KCRA, we will be taking that approach to explain why homelessness matters to every neighborhood across our 16-county coverage area — and California as a whole. While producing daily reports on homelessness, I am constantly left wishing I could devote more time and resources to each story. The homeless count is at a record high in Sacramento, with more children on the streets as families living on the financial margins are priced out of housing. Shelters are also taking in senior citizens without a home for the first time, as their fixed income comes up short. I have already built dozens of relationships with advocates this year who can be part of our coverage, but they are also willing to serve as a liaison to share the stories of those living on the streets. A common theme I have noticed is that those experiencing homelessness often feel invisible to the community that surrounds them. That was one of the first statements Laura told me when I met her as she fed people along the American River levee. She has been going into encampments for decades, after her daughter died after suffering a medical episode while living under an overpass, unable to get to a hospital in time. Laura made me aware of the widespread sexual assaults that take place among women experiencing homelessness in Sacramento, including her daughter, who passed away at the age of 30. But there is a passionate calling to give this community respect — especially in their final moments. "Everybody should have that opportunity to die with respect, dignity and love," Laura said. While working as a professor at UC Davis Medical School, Marlene discovered that some of the terminally ill cancer patients being treated there were homeless and were being discharged to the streets. “It was like, ‘What? We don't have somewhere they can go when they get sicker and sicker?’ I started doing some research and no, they didn't," she said. Marlene is now creating a homeless hospice center called “Joshua’s House,” named after her grandson who died while homeless in 2014. It will open next year, one of just a handful in the country. Marlene held one-on-one interviews with more than 100 people living on the streets — and is in close contact with them as she finalizes the hospice’s design. “The big issue for them is a fear of dying on the street alone. They already feel invisible and forgotten. And then to think about their life ending on the street — it's a fear they all share." Sacramento’s city center is home to four medical centers within a two-mile radius. But there is one nurse who treats the streets as her mobile hospital. "The system is really difficult to navigate,” Amanda said. “We do not have a system that is easy for people to utilize." Amanda is the sole street nurse in Sacramento. Treating homeless patients unable to access affordable medical care is her full-time job. "If they trust me enough to help them, it's kind of a big deal. And if they know someone is invested in them, it makes it slightly more likely they will be invested in themselves." These are stories that have stayed with me, because there is more to tell. My series for the 2018 California Fellowship will look at the adverse health effects facing this growing population — including sexual assaults, the emotional and physical wellbeing of children, the lack of sustainable and affordable medical care, as well as the current lack of homeless hospice services to care for the terminally ill. I have started chipping away at the narratives to capture the toll homelessness takes on a community, and I look forward to deepening my reporting and research through the fellowship.